Replay, re-live your sports in full 3D. An avatar turns, spins, and flips alongside your real time GPS location, speed, jump height, airtime, and other Xensr TruMotion events. With Xensr Air 3D GPS it is no longer just about the numbers. Visualize your moves in full 3D and relive the moment. Track jumps, inverts, velocity, freefall, turns, and even crashes or wipeouts. Traditional GPS systems only utilize signals from satellites high overhead in orbit to determine the speed, location and altitude of the athlete. 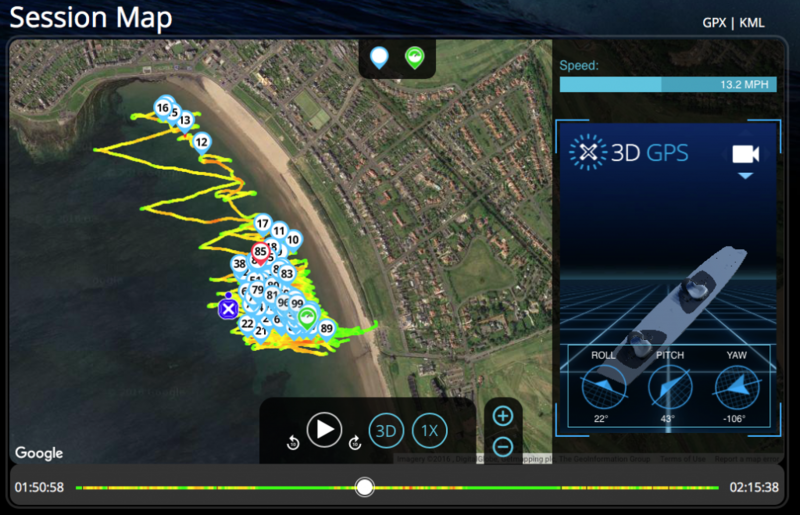 Xensr’s 3D GPS combines this GPS signal with aerospace grade inertial measurement sensors and places that data into its TruMotion processor engine to build a realtime, all aspect, view of the athlete’s performance.